This is a really easy recipe that works good as a side dish for meat and poultry. Just melt the butter down in the microwave...20 seconds or so. Chop/grate the basil, parsley, garlic, and onion. If you take 3-4 basil leaves and bunch them together and cut across the grain of the leaves, you'll produce nice, delicate basil strips that look good on the potatoes. Mix all that into the butter and put it in the microwave for 30 seconds or so. 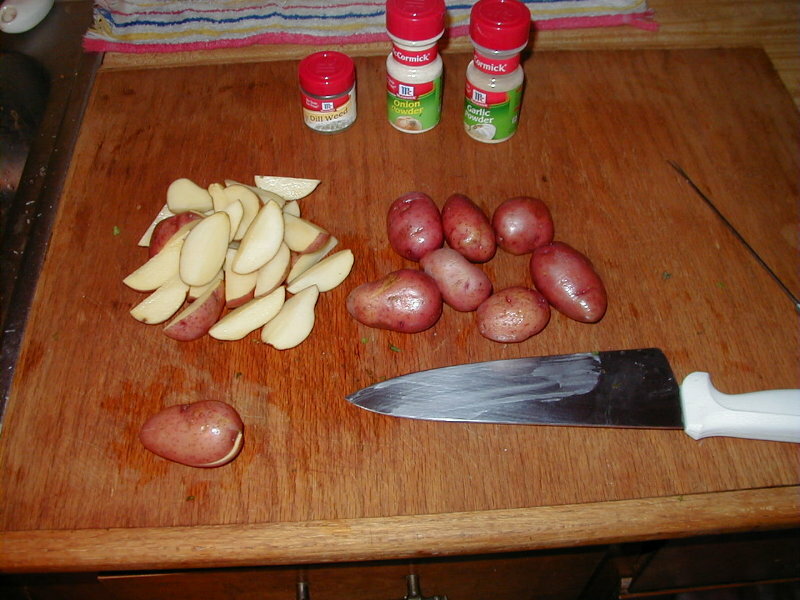 Cut the taters into quarters. Line a baking pan of some kind with foil. 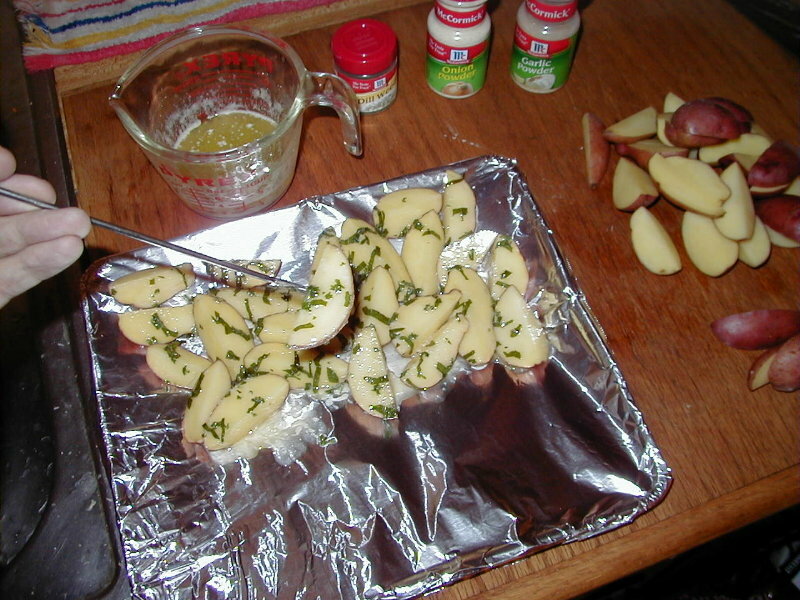 Dip the potatoes in the butter and give them a nice coating of herbs. See how nice the basil strips look? I actually ran out of butter...I had a potato left over. 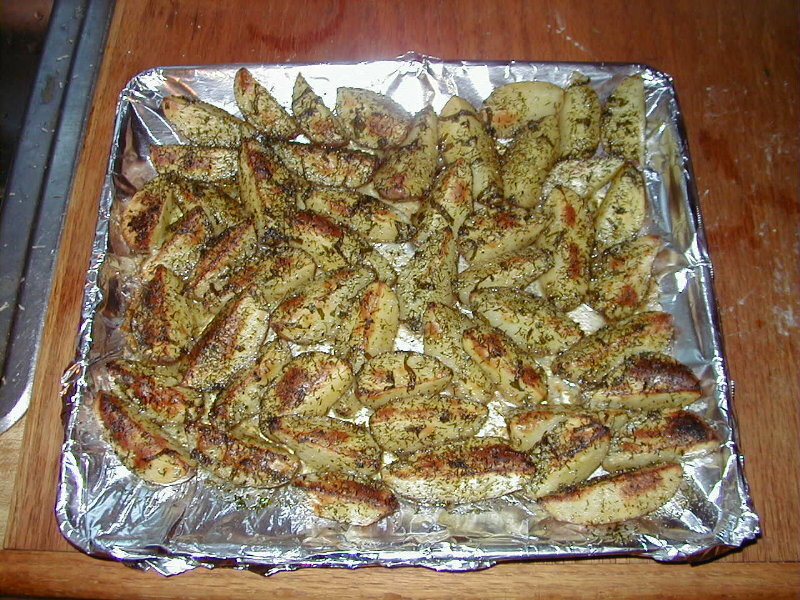 Place the potatoes skin down on the baking pan. 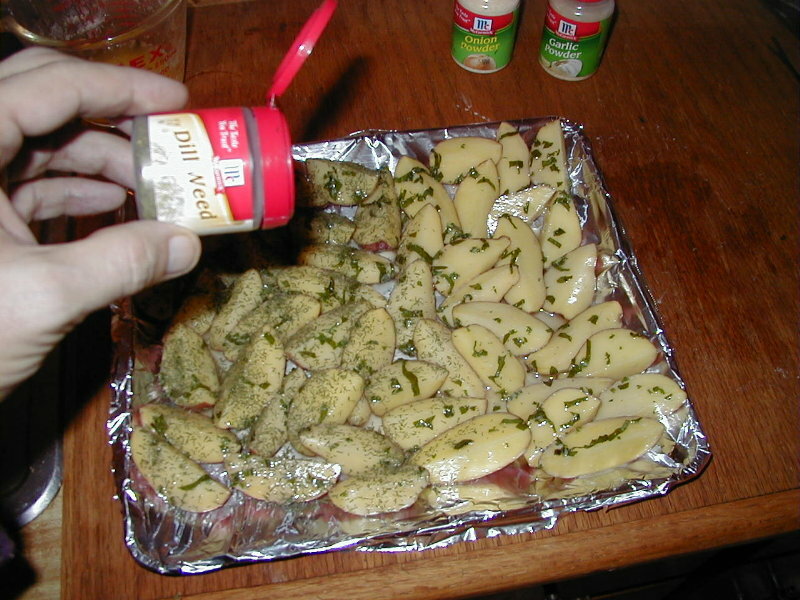 Sprinkle liberally with dill weed. I might have gone a little overboard. 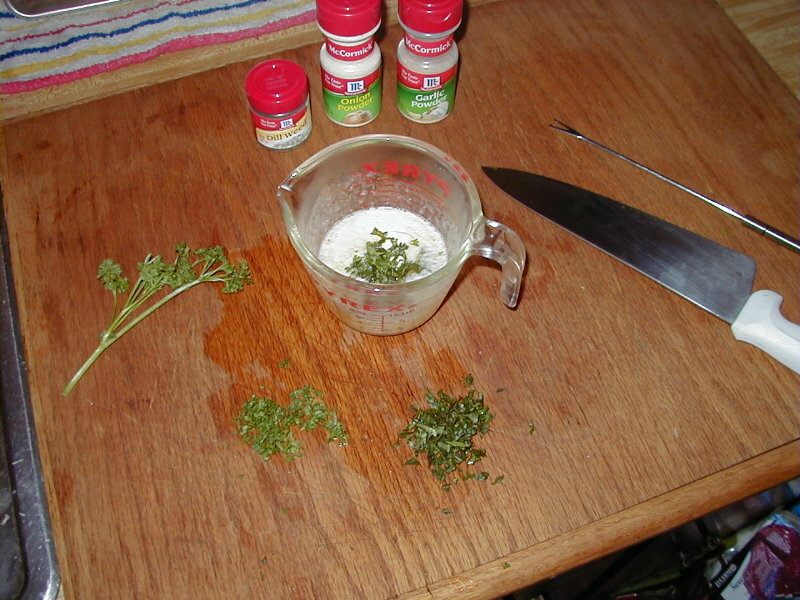 You could substitute more dried parsley or basil or probably several other things in place of the dill weed. 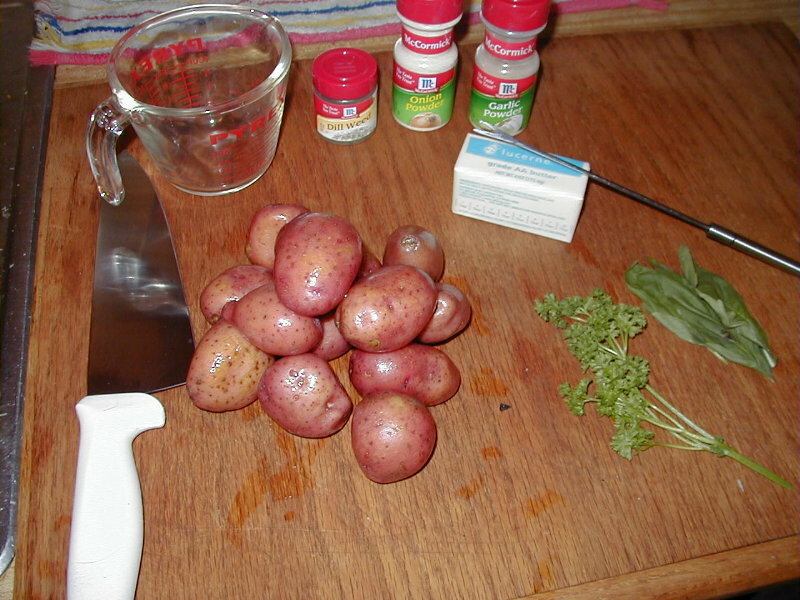 Another variation is to add some onions to the potatoes. If you use fresh onions for the butter, chop them in such a way that you have some half rings left over, then mix them thru the potatoes. Bake at 400° for about 40 minutes. Broil for an additional 10 minutes. All done.